Laser cutting & Engraving Service offered involves offering perfect and detailed engraving support for various materials. 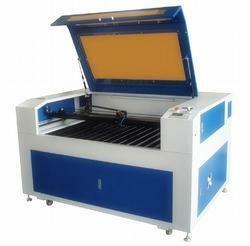 CO2 Laser cutting/engraving machines series are very popular in the market around the world with high stability and accuracy. Graphic File Support : PLT, CDR, AI, DWG, DXF, DST, BMP,JPEG, TIFF, GIF, PCX, etc. For working on materials such as acrylic, soft wood, paper, cardboard, cloth, leather, plastic, rubber, plywood, foam, thermocol, ABS Sheet etc.